Slab leaks are our business! A plumbing slab leak emergency, by definition, does not really leave us any time for stalling. A broken pipe, an overflowing toilet or a flooded bathroom are all major plumbing problems, and we would like to have them fixed ASAP. While waiting for your emergency plumber, there's a great deal you can do in terms of damage control. If a pipe bursts and floods your house, you should immediately close the main shutoff valve. If your plumbing emergency stems from a specific fixture, turn off the valve next to it. If you have an insurance company call them and report any damage the plumbing issue has caused. Slab leak repair is an important, and often difficult, process. Failure to repair the leak in a timely manner can lead to significant water damage in your home. This can not only lead to further structural damage, but might also cause dangerous mold problems. 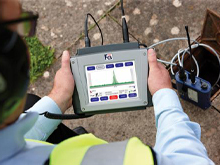 Fortunately, we have experience in the industry and can locate and fix the problems if given the permission to do so. 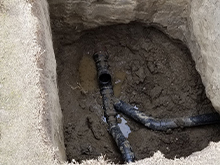 A good slab leak repair plumber will undertake the process of not only finding the source of the leak, but repairing it in a manner that should stop the leak from occurring again. If you have a slab leak in your home, it is important to address it today. Failure to do so can cause future problems that will not only be expensive to fix, but might actually be dangerous. If you want to make sure that your home remains stable and safe, or simply need to determine if your home has this problem, call us today. Streamline Plumbing is available to help with slab leak emergencies in southern California 24/7. 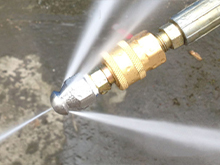 Streamline Plumbing has over 25 years of experience in the service plumbing industry. We are a family owned and operated business servicing Orange County for the past 25 years. Our #1 GOAL is to deliver QUALITY, HONESTY, and PROFESSIONALISM to all of our clients at all times. All of our services are guaranteed 100% while offering affordable pricing 24 hours a day,7 days a week. So give us a call for all your plumbing needs. 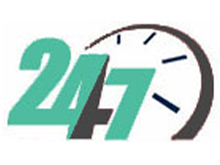 Our staff is available for 24 hr Emergency service and 2nd opinions are always free. Free estimates and second opinions. Our estimates are always FREE. We have saved our customers hundreds and sometimes thousands of dollars by providing them with a second opinion. We have technology and solutions that other plumbing companies don't have. We will provide you with options that may save you money and inconvenience. lat rate price. When you choose Option One Plumbing & Rooter, you know the price up front. We take the uncertainty of cost out of the equation. It's peace of mind for you.